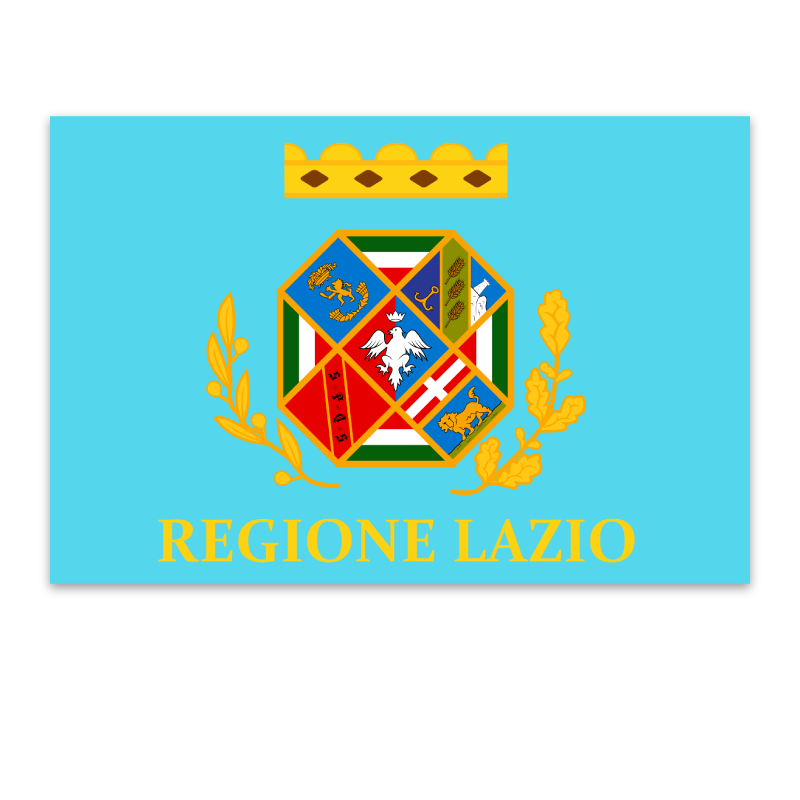 The Province of Roma covers almost one third of the total area of the region of Lazio. 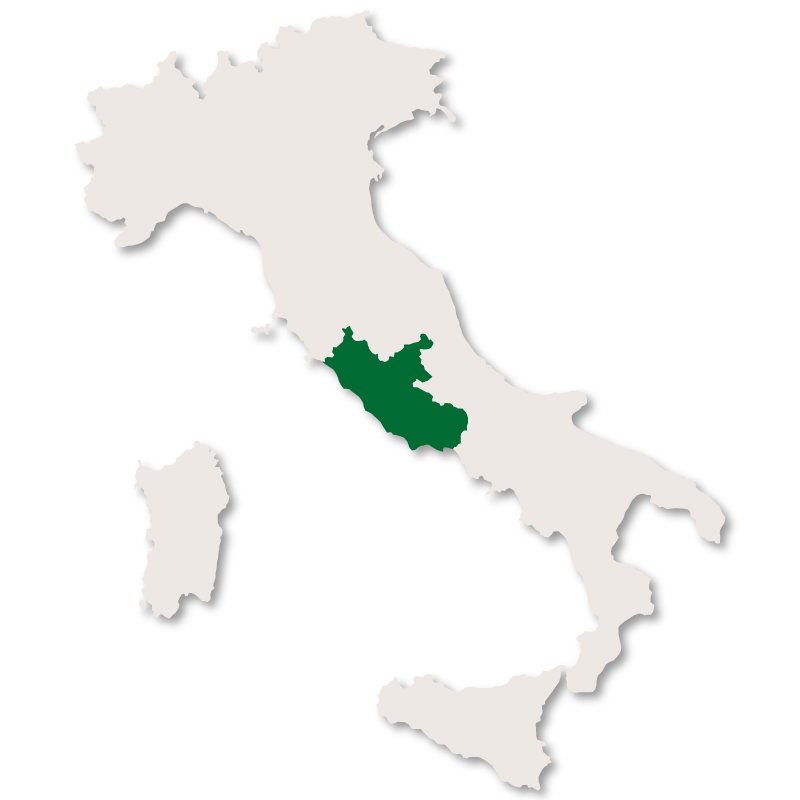 It borders the province of Viterbo to the north, the province of Rieti to the north east, the region of Abruzzo to the east, the province of Frosinone to the south east, the province of Latina to the south and the Tyrhennian Sea to the west. The terrain changes dramatically from the flat areas of the Tiber Valley, right across to the mountains ranges of Sabini and Tiburtini. 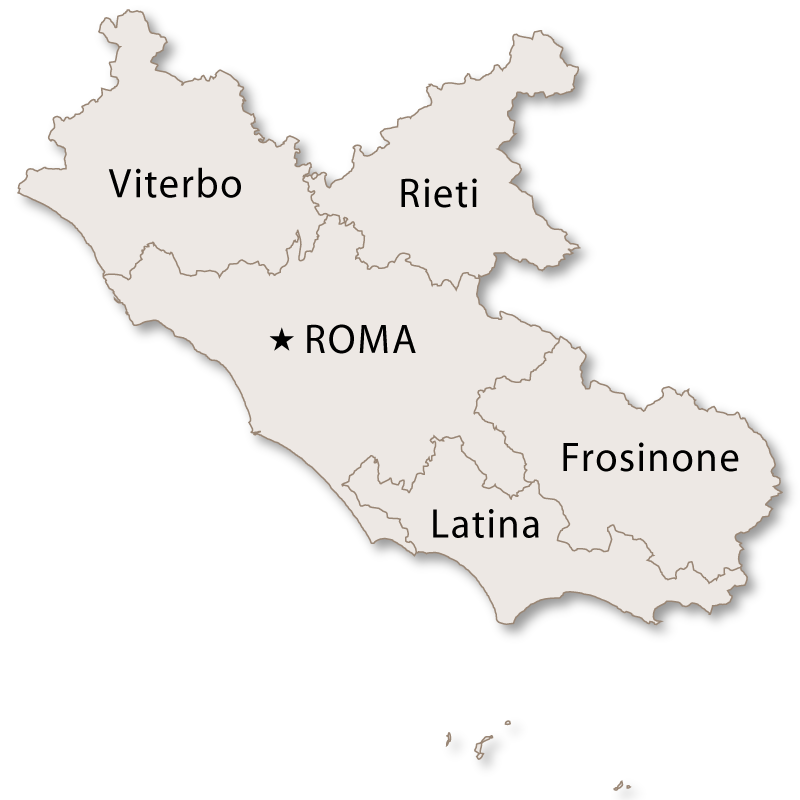 The western boundary runs along the Tyrrhenian Sea and has about 130 kilometres of coastline. There are several lakes, mostly of volcanic origin, and some beautiful rolling hillsides. 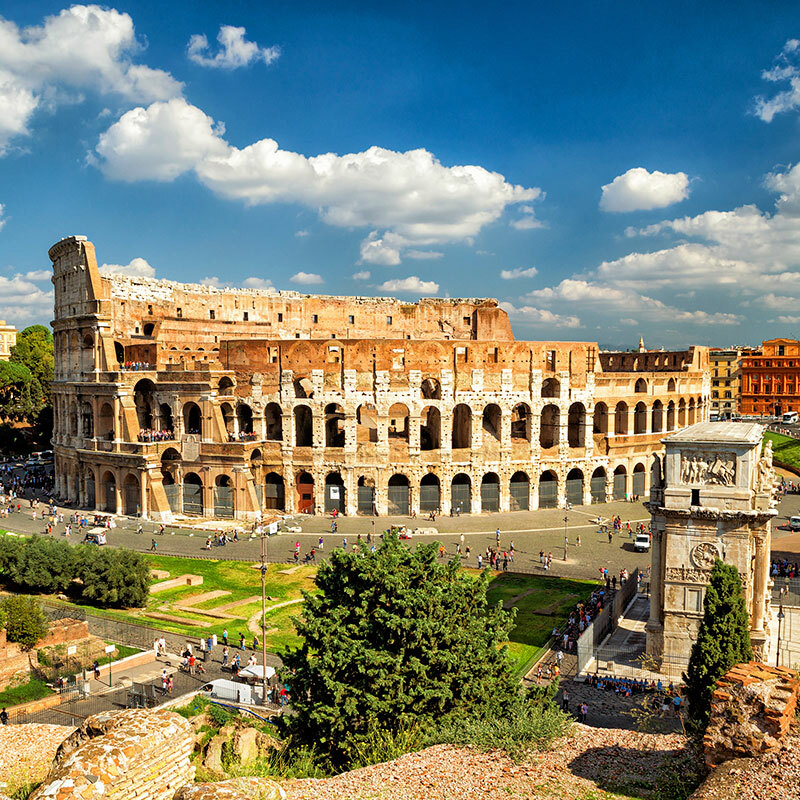 The whole province is as rich in history, art and culture as its capital city of Rome. Nestled 615 metres above sea level, in the Parco Regionale dei Castelli, Albano Laziale it is an important town in the province and an active commercial centre. The large Cathedral Basilica of St. Pancras, built in 1721 and dedicated to the saint it is named after. Church of Santa Maria delle Stella, inside which is the tomb of Maria Theresa of Austria, Queen of the Two Sicilies. Underneath the church are the catacombs of Saint Senatore with frescoes from the 5th/9th centuries. St Paul's Church, was constructed in 1282 and inside which the bones of Saint Gaspar del Bufalo are kept. Santuario di Santa Maria della Rotonda which was inspired by the Pantheon and built over the top of the ruins of an ancient villa. The belltowers are also bear a similarity to those of Rome's medieval churches. Church and convent of Santa Maria della Stella. Church and convent of St. Bonaventure. Church of Saint Phillip Neri. Church of St. Peter the Apostle. Palazzo Savelli was originally built as a fortification by the Savelli family in the 13th century. In 1697 it housed the papal government and today it is municipal offices. Palazzo Lercari, or Palazzo Vescovile (Bishop's Palace) was built in 1727 by Cardinal Nicolò Maria Lercaro to accommodate Pope Benedict XIII. Now it contains the Bishop's office and several law firms. 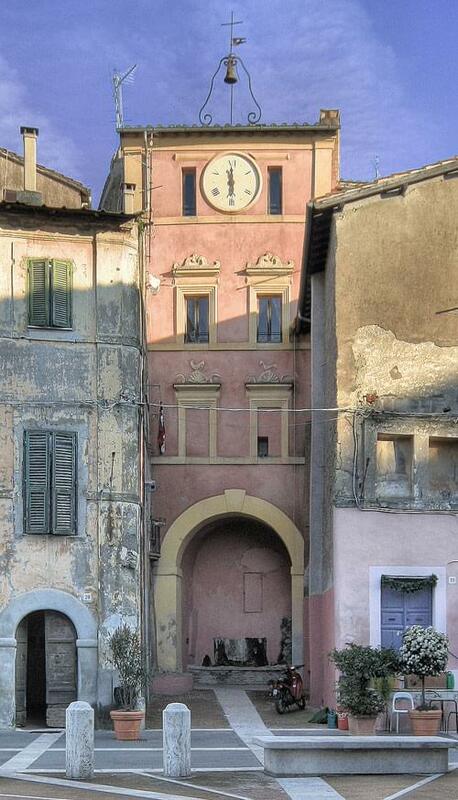 Palazzo Campano, built in 1465, was one of the first palaces to be built in Albano Laziale. Palazzo Rospigliosi, which has an adjoining garden, was built in 1667 for the Rospigliosi family but now houses the 'Congregation of St. Joseph's Institute Leonardo Murialdo'. Palazzo Pamphilj (or Palazzo del Collegio Nazareno) was built in 1655 and was taken over by the Nazarene College of Rome in 1764. Palazzo Paolucci, built in the 17th century. Palazzo Poniatowskj was built in the 19th century by a wealthy landowner called Prince Amedeo Poniatowskj. Villa Doria Pamphilj, an 18th century villa which was later acquired by the Doria family. The villa was so badly damaged by bombs during World War II that is was completely demolished in 1951 and rebuilt in Piazza Mazzini rather than its original location on the Appian Way. The attached gardens are now a public park, in the centre of which there are the ruins of a Roman Villa. 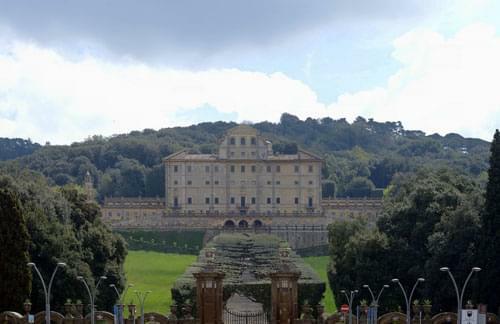 Villa Corsini hosted so many important members of various royal families that it became known locally as the Royal Inn. It was built in the mid 18th century and today houses the Directorate General of ASL RMH. Villa Altieri was built over the top of on an old farmhouse at the entrance of Albano Laziale on the road coming from Rome. Villa Ferrajoli was built in 1845 over the top of an existing casino. It actually consists of three buildings and houses the Museo Civico di Albano. Villa Venosa-Boncompagni, built in 1857, has a large monumental park. The walls, which have now almost been dismantled but still has the remains of some of the original gates. 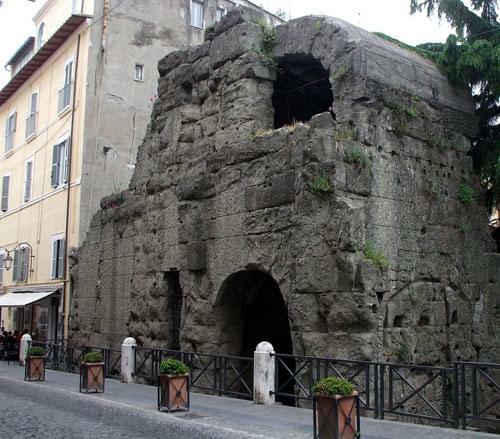 Porta Pretoria was the main entrance into the town and can be found opposite Palazzo Savelli. The remains of a Roman amphiteatre. There are three fountains in the town centre which are worth taking a look at, Fontana delle Tartarughe, Fontana del Mascheronee and Fontanella del Re. 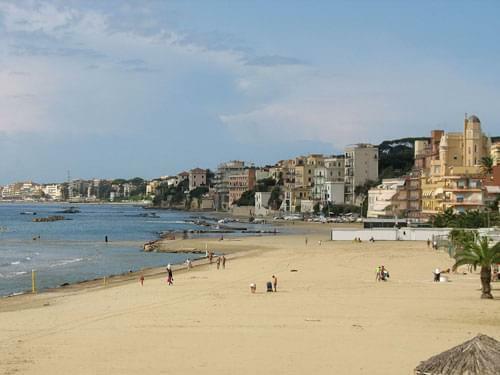 A fishing port, ferry port for boats to the Pontine islands and a seaside town, Anzio also has historical significance as being the site of an important allied landing during World War II know as 'Operation Shingle'. Along its coastline are the remains of several Roman Villas, one of which, the Domus Neroniana, was the home of Nero. With spectacular vies of the sea and cooling breezes, this town has long been popular with artists and writers who want a break from the heat and noise of Rome. A medieval town with its centre perfectly preserved making it a very pretty and interesting place to visit. The town is totally dominated by the large and very well preserved Castello Orsini-Odesaclchi. The castle is considered to be one of the most important examples of Renaissance military architecture in the whole of Italy. Another popular tourist attraction here is the very large Lago di Bracciano which is a volcancic lake and the eight largest lake in Italy. 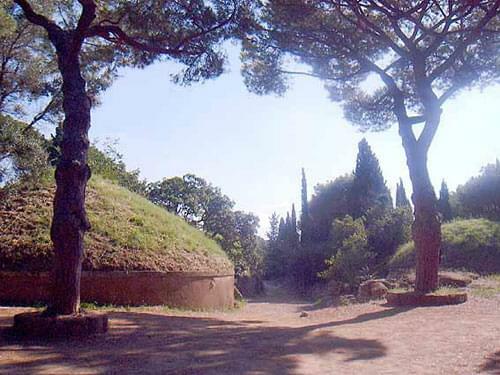 The main site at Cerveteri is the UNESCO World Heritage site 'The Necropoli della Banditaccia'. 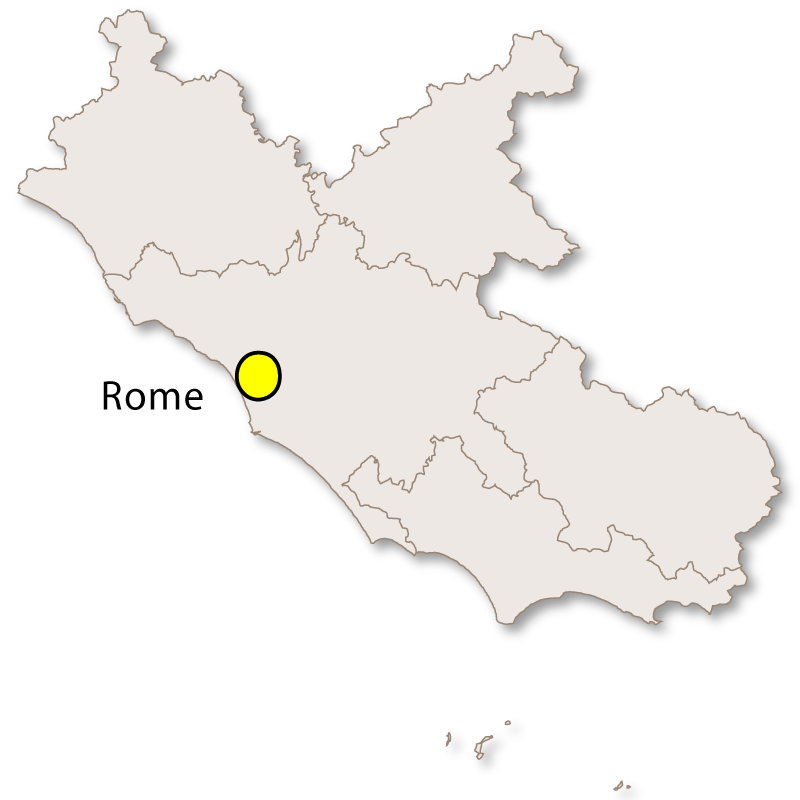 This site, together with the Necropolis in Tarquinia covers more than 400 hectares, 10 hectares of which is open to the public. There are more than one thousand tombs dating back as far as the 3rd century BC and most are housed in the characteristics mounds. Other than this spectacular site there is a castle, Palazzo Ruspoli and a small church from the 15th century. Frascati is well known around the world for its white wine of the same name. It is, however, also an influencial historical and cultural centre. 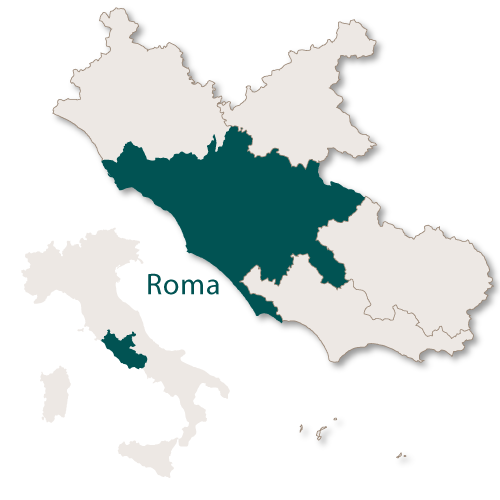 Only 20 kilometres south east of Rome it is a scientific hub and the location of several international laboratories. Villa Aldobrandini which was built in 1550 for the Aldobrandini family who still occupy the villa today. 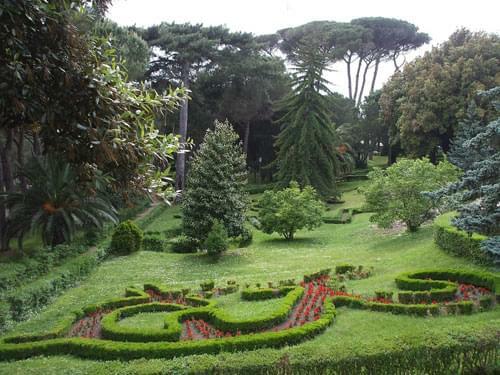 It has a large Papal garden which is the only one in Italy not owned by the state. An unusual feature in this garden is the Teatro delle Acque (water theatre) served by an eight kilometre aqueduct which is connected to a spring on Monte Algido. Villa Parisi was built in 1604 and taken over by Cardinal Schipione Borghese in 1615. He had a nymphaeum and a stately portal added and later, in the early 18th century, Camillo Borghese made further additions and renovations. 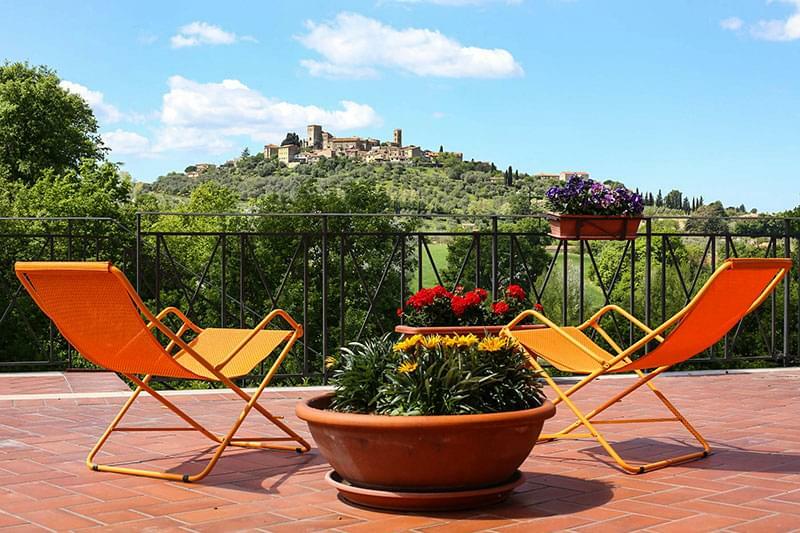 Villa Falconieri was originally called Villa Rufina and dates back to 1546. It was bought in 1628 by Orazio Falconieri who had many renovations done to the property. 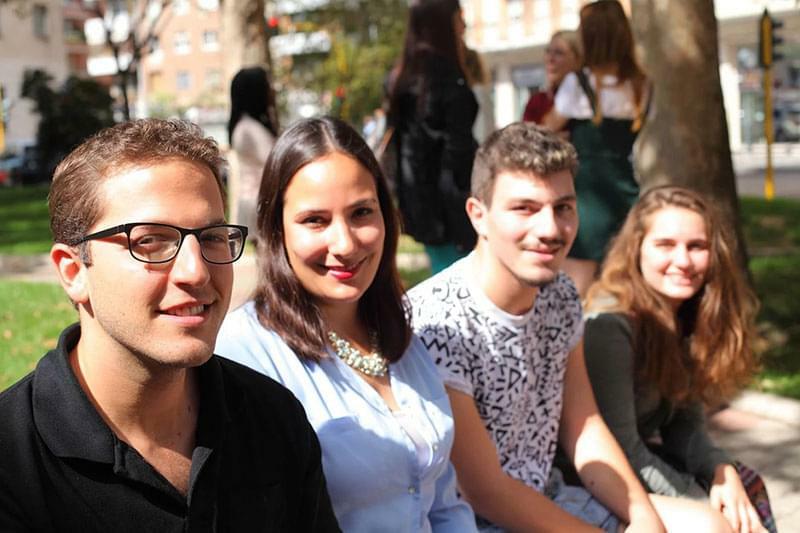 It is now the headquarters of the Centro Europeo dell' Educazione (CEDE) and INVALSI. Villa Grazioli was built at the end of the 16th century and has recently been purchased and turned into a luxurious hotel. Villa Lancellotti was built in 1582 by Cardinal Bonanni and is designed to offer a view of the gardens from every floor. A portion of the gardens are known as 'Ombrellino' and this is open to the public. Villa Muti was built at the end of the 16th century but was sold to the Comune di Grottaferrata at the end of World War ii. It is not open to the public and at the moment the gardens are not well kept. Villa Rufinella, also known as Villa Tuscolana, is set on a hill above Frascati and is the highest of all the villas in the town. It is now a conference hotel. Villa Sora was built at the end of the 16th century and today houses a school of the Salesians. Villa Torlonia belongs to the Torlonia family and the gardens are open to the public. These garens also contain a water theatre which was designed by Carlo Maderno in the early 17th century. Villa Vecchia was built in 1560 by Cardinal Giovanni Ricci but was sold in 1562 to Cardinal Ranuccio Farnese. It is now a hotel and restaurant. Basilica of St. Peter Apostle which was built at the end of the 16th century with a new façade being added at the end of the 17th century. It was demolished by bombs in 1943 and totally reconstructed after the end of the war. The reconstruction has left the interior looking a little sparse. The Church of the Gesu was also built at the end of the 16th century and has an interesting trompe l'oeil false dome inside. The Bishop's Palace is really a castle with two square towers and one round tower. 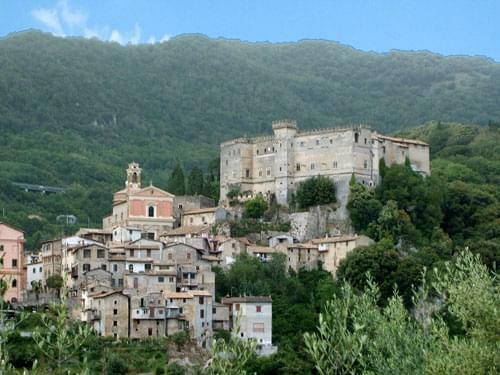 It has the cathedral on one side and the 1305 church of Santa Maria in Vavario on the other. 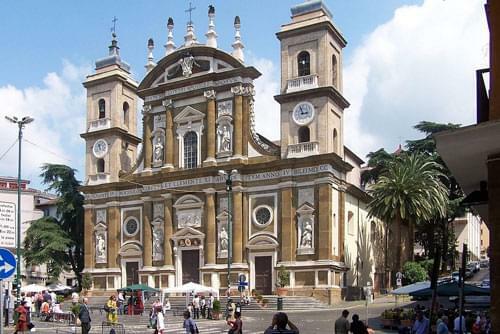 It is the home of the Bishop of Frascati. Resting in the Sabine hills this large towns offers far reaching views over the Roman countryside. Perhaps the one thing this town is most famous for is the Tivoli Gardens together with Villa d'Este, to which it belongs, is a UNESCO World Heritage Site. The villa is an excellent example of the Renaissance architecure and the gardens depict an Italian Renassance garden. Another villa here which is also a UNESCO World Heritage Site is Villa Adriana which is an archeological site of a large Roman complex which was created in the 2nd century AD. There are many beautiful sculptures and other artwork here as well as the ruins and remains of some stunning architecture, including the fascinating Maritime Theatre. A beautiful 16th century clock tower can be found in the Piazza del Popolo. There is also a former monestary known as Palazzo Abbaziale dei Monaci Benedettini. This village became well known during the 19th century as a large community of artists lived there and the younger locals used to pose as models for them. During World War II, ninety per cent of the buildings in this small town were destroyed. The main site here is the Abbey of Santa Maria di Grottaferra. This abbey has a famous portico with an arcade consisting of nine bays, all supported by slim, elegant columns. The abbey has an attached library which contains around 50,000 volumes, some of them being rare copies. Meaning 'old city', Civitavecchia is an important port for both commercial and public transport. It is possible to catch ferries here to several other Mediterranean ports and it provides the main link from mainland Italy to the island of Sardinia. It is also a major stop off and pick up point for cruise ships. There is a massive fort here 'Forte Michelangelo' which was built to defend the port during the time of Pope Julius II. The upper portion was designed by Michelangelo, hence its name. Nettuno is a charming coastal resort which is named after the Roman god Neptune. As well as having a nice beach, a secure marina with almost one thousand berths, a good shopping centre and picturesque coloured houses it also produces the D.O.C. wine Cacchione. Just 24 kilometres southeast of Rome, Castel Gandolfo is widely considered to be one of the most scenic towns in Italy. The town and many summer holiday residences are built around the shores of the beautiful Lake Albano. 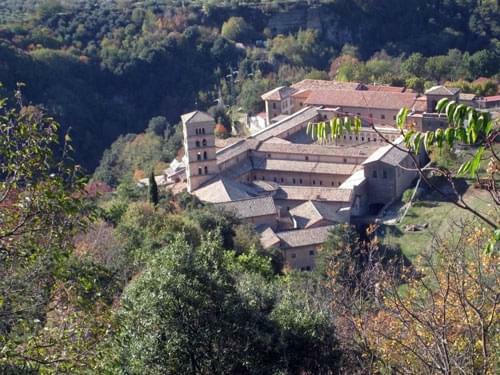 A major tourist resort and religious pilgramage due to its sacred grotto which can be found in the medieval St. Benedict's Abbey which is considered to be one of the most beautiful monasteries in the world. Another piece of history well worth visiting while you are here is the medieval St. Francis' bridge which is still in use and has a span fo 37 metres.Rocca di Papa Set in the centre of the Parco Regionale dei Castelli Romani, Rocca di Papa is a hilltown which was once the home of Pope Eugene III. The Papal Fortress which has been mentioned since medieval times but was restored into its current state during the reign of Pope Paul III. Church of the Assunta which was built in the 18th century but rebuilt after the 1806 earthquake. Convent of Palazzolo which can be found on top of a rock on the eastern shores of Lake Albano. Quartiera dei Bavaresi which was built here in the early 14th century by the Bavarian Military. Famous for the production of its white wine and annual Grape Festival which is held on the first Sunday of October. 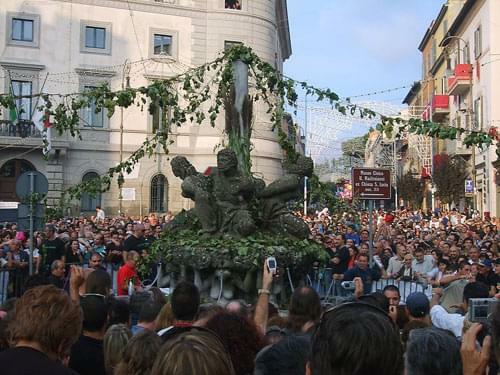 The festival is very popular due to the fact that for one hour only, several of the towns fountains spout wine rather than water. Basilica of San Barnaba, built in the Baroque style during the 17th century. Church of SS. Rosario, built in 1713 and hold a good example of Rococo art. 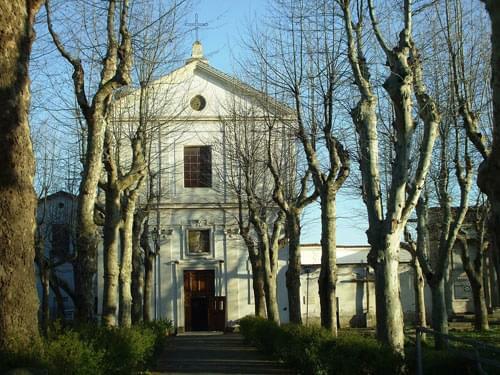 Church of Santissima Trinità which was built in 1640. Church of Santa Maria delle Grazie. Fontana dei Mori which depicts prisoners from the Battle of Lepanto. The Pontine Islands are located in the Tyrrhenian Sea just off the coast of Campania, although they are a part of Lazio. The Pontine archipelago consists of six... read more.